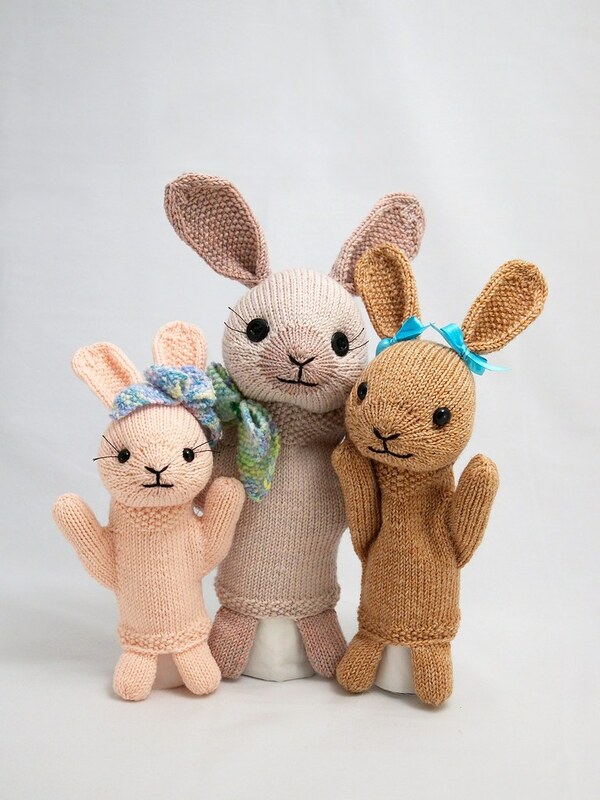 A very quick post to let you know that the Bunny Puppet pattern is now available! You can purchase it on Ravelry, Etsy, or Lulu. I had to make a few last minute changes, but it should be all good now. Please note that this pattern is intermediate level, and knit in the round. If you've made mittens, you shouldn't have any trouble. If you find any mistakes, please email me (barbara at fuzzymitten dot com) so I can update the pattern. I'm a bit short of time this morning, so I'll try to write more about the design later! February 20, 2010 at 6:17 a.m.
Oh, that's so cute! I think I just found my Easter project this year :) Thank you! February 20, 2010 at 8:13 a.m.
February 24, 2010 at 10:57 a.m.